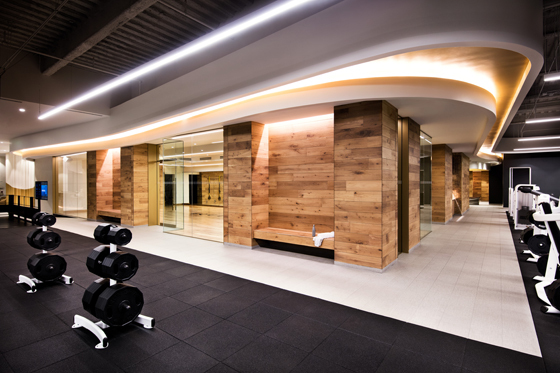 Deciding where to position cardiovascular and weight-training equipment in rooms with mandatory mirrored walls, TVs and air-conditioning has, conventionally, been the most taxing aspect of designing gyms. 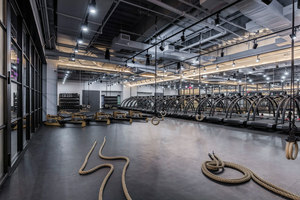 But the design of high-end gyms especially is becoming more imaginative, perhaps in response to fitness-crazy millennials: a study by branding consultancy Brightmark showed that 81 per cent of millennials are regular exercisers compared with 61 per cent of babyboomers. 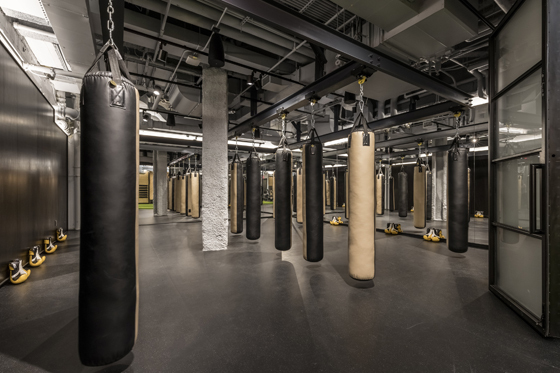 Moreover, gyms’ crossover with the wellness world and their growing roster of activities and amenities – pilates, kickboxing, yoga, spas – necessitate different environments. 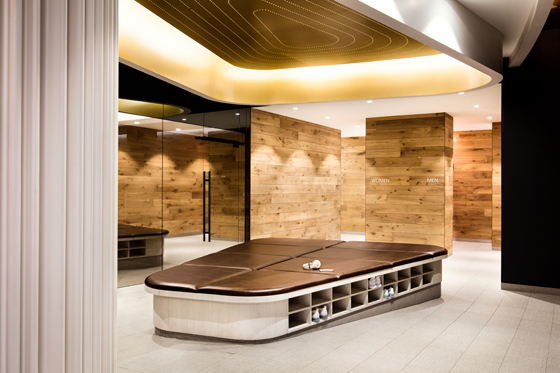 Enticing lobbies and luxurious locker rooms complete the package. Many gyms are no longer identikit spaces but range in style from the industrial to the surprisingly opulent. 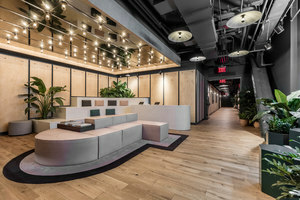 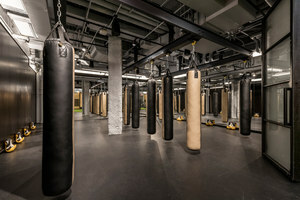 Co-working company WeWork’s gym Rise by We in New York comprises various zones – one, called Fight, is devoted to kickboxing and martial arts, another, Flight, to cardiovascular exercise. 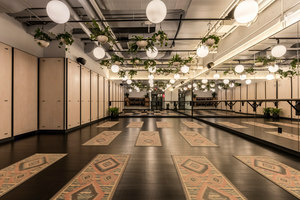 While these look relatively conventional, another zone, Mindfulness, for yoga and meditation, features dark wood flooring, pale-wood walls and copious ceiling-hung plants. 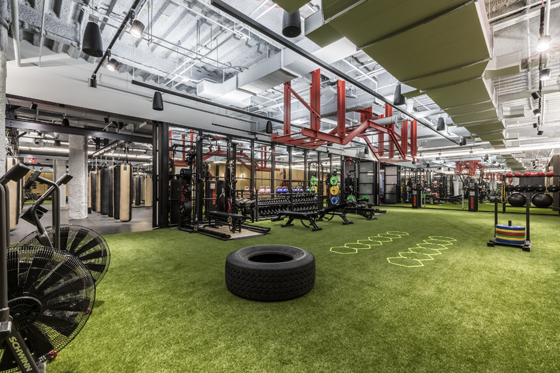 Another area, Turf, has a grass-like floor – easier for rolling weights. 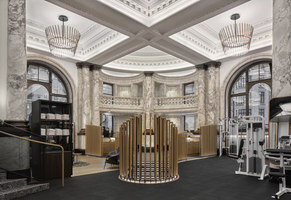 The reception desk incorporates tiered seating and plants reflected in a mirrored ceiling. 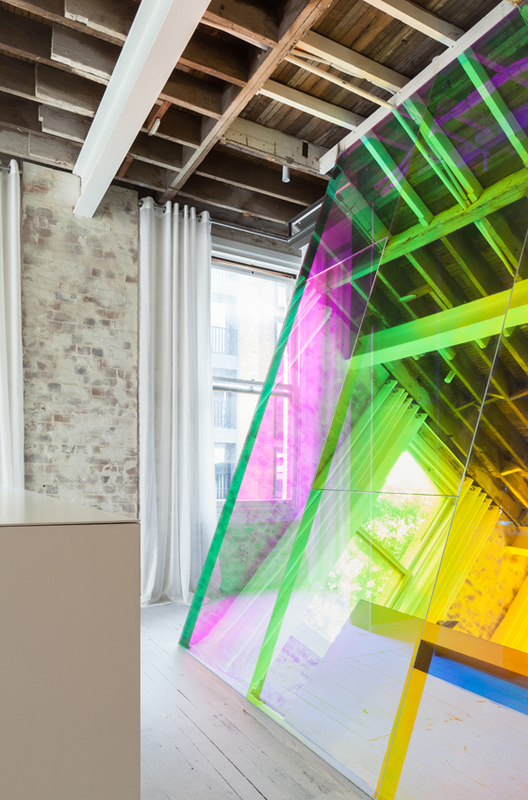 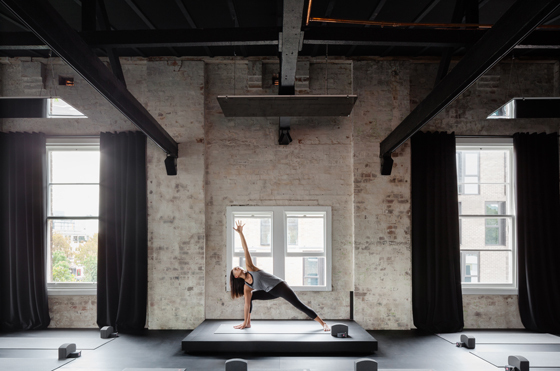 Sydney’s two-storey yoga space, Humming Puppy, known for its practice of humming yoga, occupies a Victorian building. 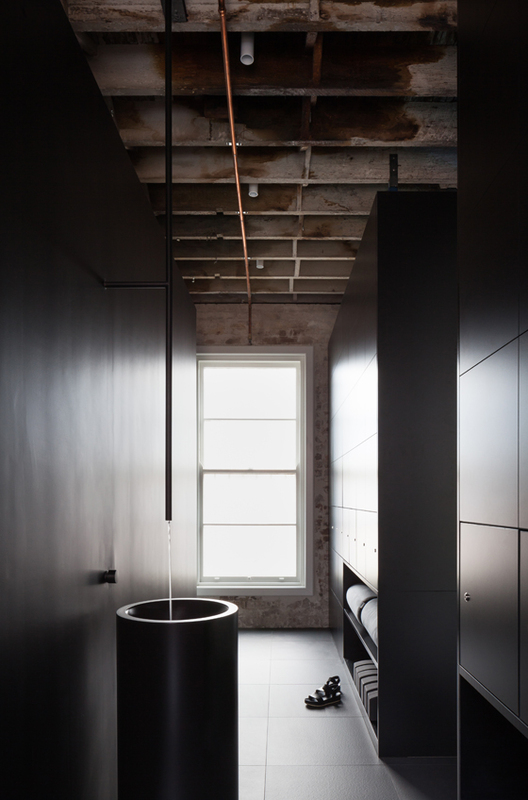 Architect Karen Abernethy wanted to retain much of its original fabric, notably its exposed brick. 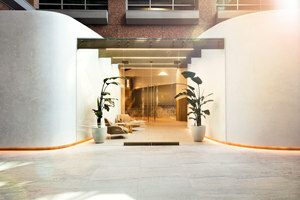 Visitors enter via a deliberately neutral, calming stairwell. 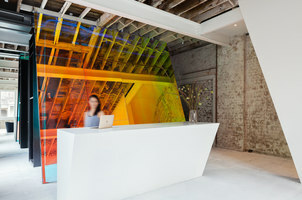 But beyond this is a space with a changing room and lounge area divided by a funky, unexpectedly pop screen with an iridescent dichroic filter. 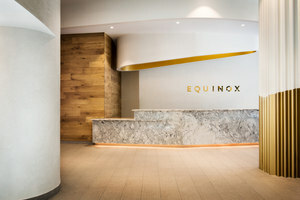 Meanwhile, the game-changing gyms of upscale fitness company Equinox in Los Angeles and London – designed by MBH Architects and Joyce Wang respectively – swap banal utilitarian interiors for old-world grandeur. 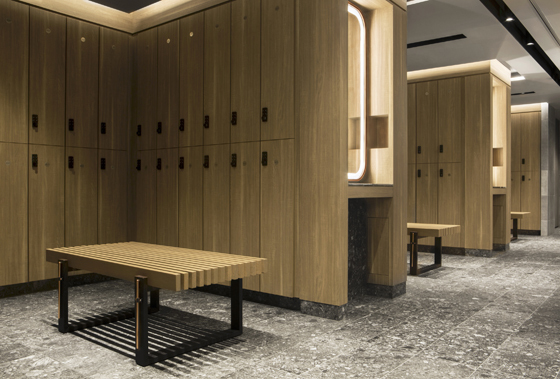 The first – formerly a TV studio – offers spaces for pilates, cycling, hot yoga and spa treatments, all radiating from a multi-storey, glazed atrium. 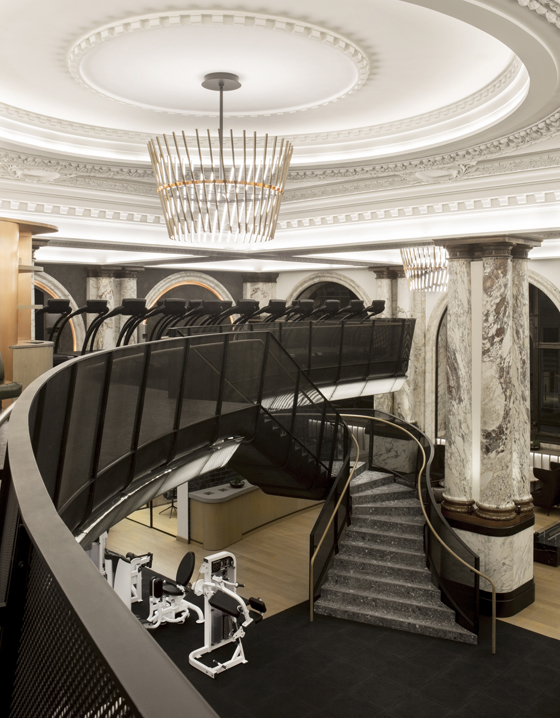 A marble reception desk and fluted columns with gold bases create a richly sensual atmosphere. 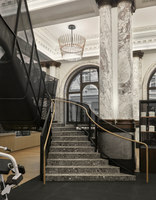 A continuous curve penetrating the entire space, paired with indirect, golden lighting, were conceived as wayfinding elements. 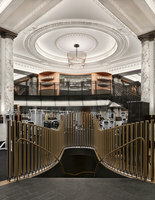 Equinox’s London gym is housed in a sumptuously ornate former bank with marble walls and moulded ceilings. 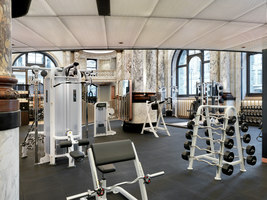 Wang has installed a metal mezzanine – for spinning and pilates – boasting dramatic views over the main fitness area and stately interior. 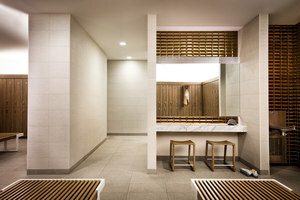 Timber fins line a passage leading to the subterranean changing rooms. 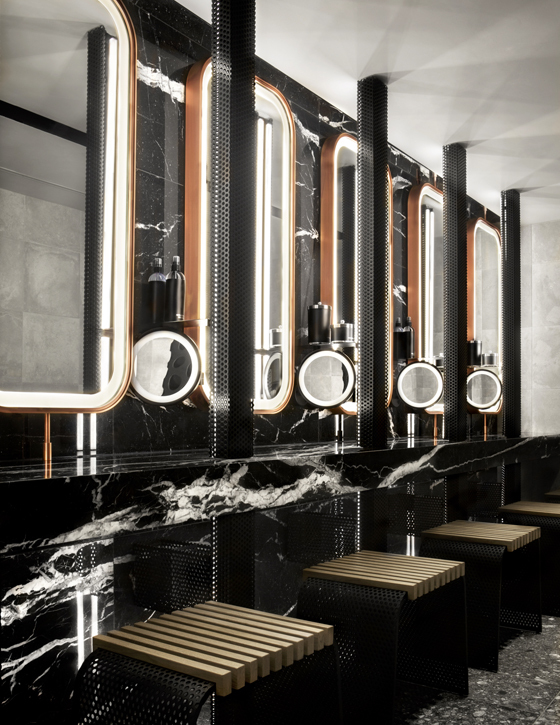 A palette of natural materials – slate, copper, oak and Nero Marquina marble – was used on this lower level. 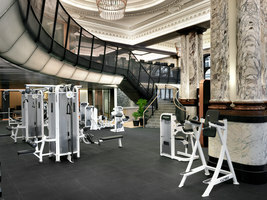 In such ritzy surroundings, all that clunky gym equipment takes a back seat.